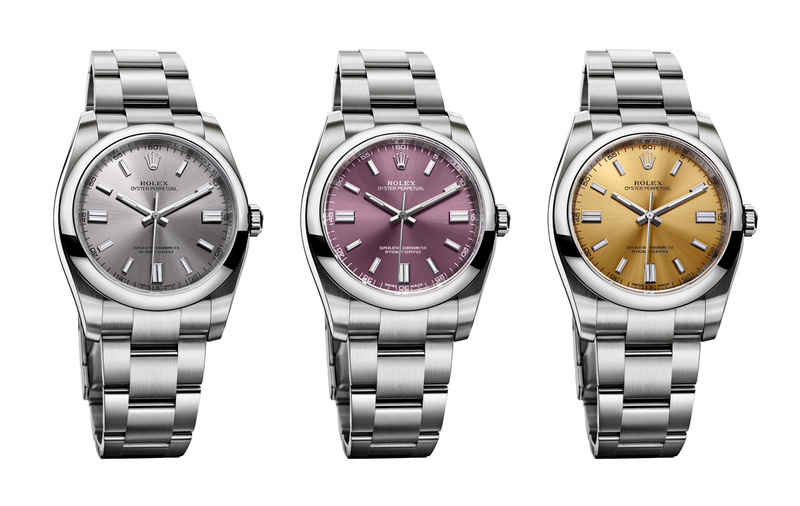 Rolex has unveiled a series of metallic finish dials for its no-frills Oyster Perpetual watches, giving an otherwise conservative and almost old-fashioned timepiece striking new colours. 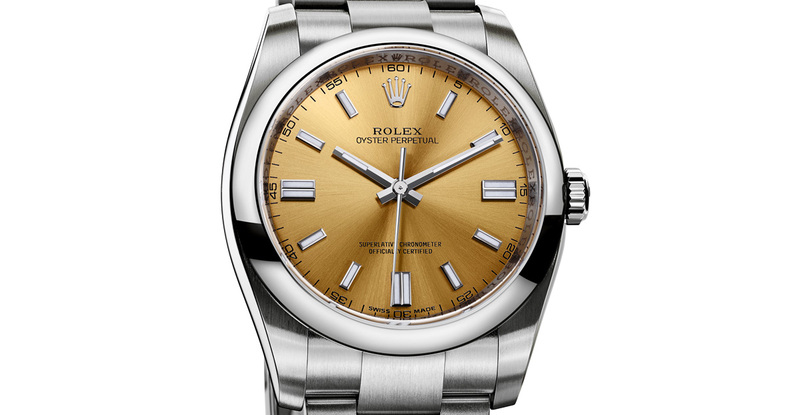 The Oyster Perpetual is the base model in the Rolex Oyster line-up, which includes watches like the Sea-Dweller and Milgauss. Being the entry level timepieces, the Oyster Perpetual tells only the time, and features only the Rolex basics like the Oyster case and an in-house automatic movement. 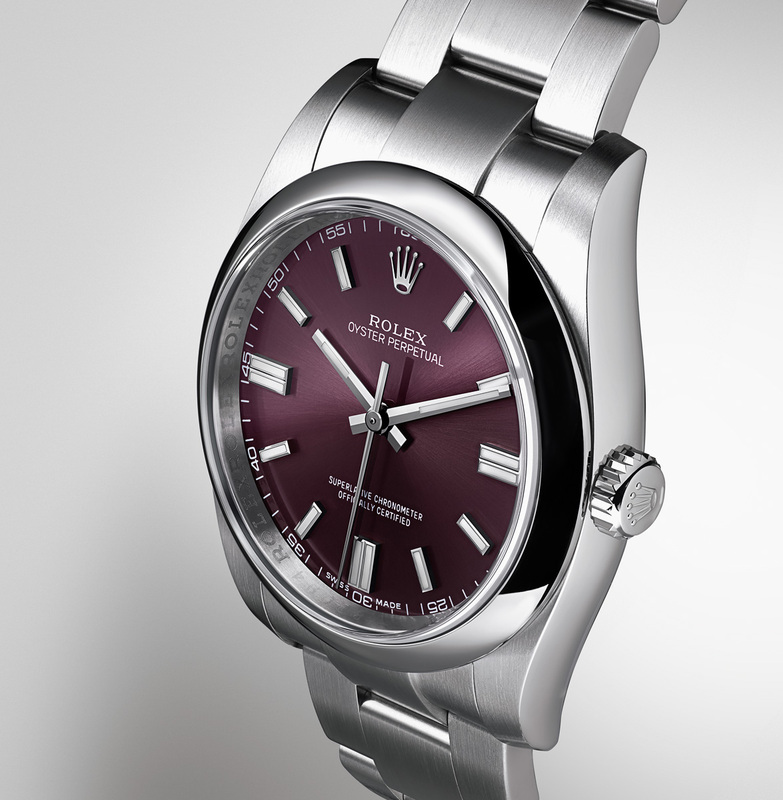 But the Oyster Perpetual has just been given a facelift, with striking new dial options in bright metallic finishes in colours like the purple “Red Grape” (pictured above). Like all Rolex watches the Oyster perpetuals use 904L steel, which is slightly more corrosion resistant than the more common 316L steel. They have waterproof Oyster cases, along with matching Oyster bracelets and the spring-loaded Oysterclasp. Inside is a COSC certified automatic movement, and the larger model is also equipped with the magnetism resistant blue Parachrom hairspring. Available in mens’ or mid-sized cases, the Oyster Perpetuals feature new dials with a sunray brushed metallic finish in fresh colours. The larger, 116600 models are 36 mm and have index markers, giving them a more masculine look. The smaller 177200 models are 31 mm in diameter, with Roman numeral dials. 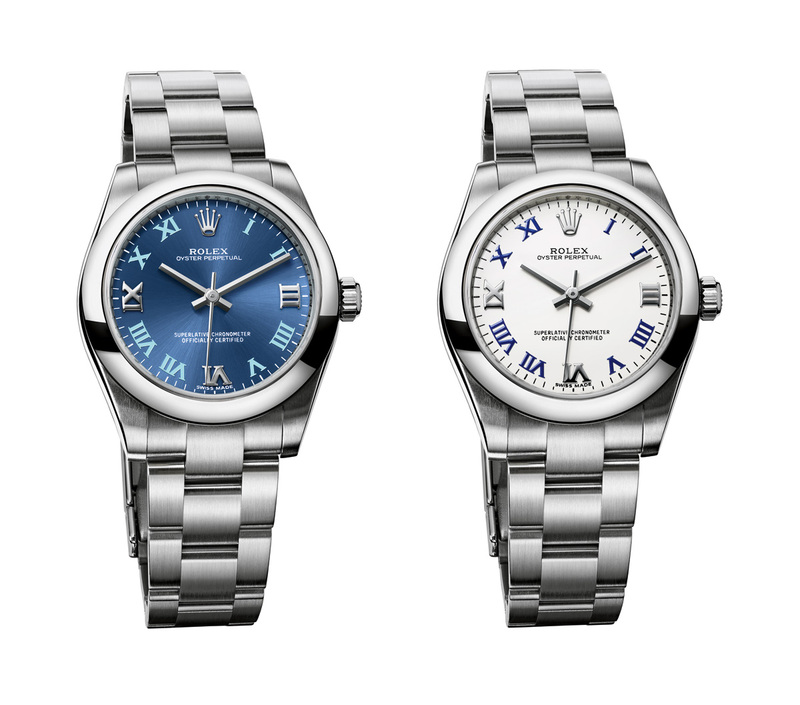 The larger Oyster Perpetuals retail for US$5400, while the smaller model is US$4950. For the first time the entry level Rolex Oyster Perpetual is available in a 39 mm case, keeping the traditional Rolex Oyster aesthetic while adding a dose of colour with new dial finishes.